John Parks leads the USAID Oceans team to achieve program objectives to combat illegal, unreported, and unregulated fishing, conserve marine biodiversity, and address human welfare concerns. 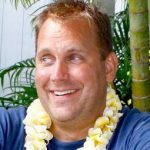 For twenty-five years, John has worked with partners to design and implement marine resource management solutions that strengthen the environmental sustainability and human security in coastal communities around the world, particularly in Southeast Asia and the Pacific Islands. 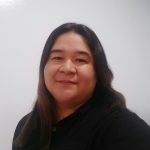 Rebeca Fontanilla-Andong manages USAID Oceans’ national and learning site activities in the Philippines, working closely the Philippines Bureau of Fisheries and Aquatic Resources and other national partners to implement program activities. Rebeca has extensive experience facilitating regional coordination, helping organizations work in cooperation throughout Southeast Asia to achieve program objectives. Before joining USAID Oceans, she served as Regional Project Manager of CORIN-Asia where she supported the coordination of autonomous CORIN-Asia organizations across Southeast Asia to strengthen capacity to reduce poverty. Melinda Donnelly leads USAID Oceans’ communications and outreach activities, working across the program to engage activity stakeholders, raise awareness, and further Partnership objectives. 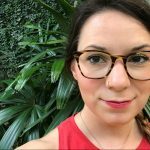 Melinda has over eight years’ experience leading and implementing communications campaigns for government agencies, non-profit organizations, and private-sector clients. Her portfolio includes extensive work in the energy, climate change, and environmental sustainability sectors, with previous support to the U.S. Environmental Protection Agency, U.S. Department of Energy, and USAID programs based in Africa and Southeast Asia. Melinda recently completed a Master’s Degree in Communication for Development at Malmö University, Sweden. 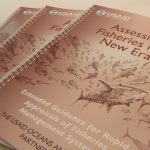 Len Garces leads the implementation of USAID Oceans’ regional, national and learning site activities for the integration and implementation of an Ecosystems Approach to Fisheries Management (EAFM). 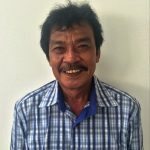 Len has over 25 years of experience working on coastal fisheries issues in Southeast Asia. 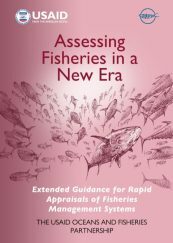 Prior to USAID Oceans, Len worked with WorldFish to support coastal fisheries management program implementation, monitoring and evaluation, research, resource assessment and management. 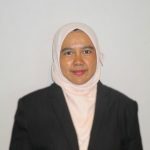 Fini Lovita manages USAID Oceans’ national and learning site activities in Indonesia, working closely with local partners, government and industry members to implement program activities. Fini’s previous work includes coordination for Mangroves for the Future Indonesia for International Union for Conservation of the Nature, consultation to Conservation International Indonesia, and more than five years of support to the World Wide Fund for Nature Indonesia on the issues of marine, coastal and fisheries management, and eco-labeling certification systems. 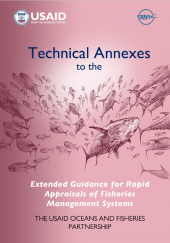 Farid Maruf leads USAID Oceans’ Catch Documentation and Traceability (CDT) initiatives, designing activities that support regional partners to develop, implement, and expand electronic CDT systems. 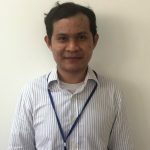 Farid oversees the program’s Information and Communications Technology Specialists in Thailand, the Philippines, and Indonesia, and works closely with the program’s technical leads to ensure CDT efforts further fisheries management, human welfare, and partnership objectives. Farid has over 25 years of experience in the development and implementation of information and communication technology systems. 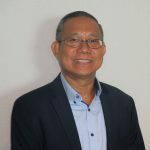 Farid’s background includes program design and implementation, technical and business modeling, as well as public-private sector partnership development throughout Southeast Asia. Arlene Nietes-Satapornvanit, known for short as “Jigsz,” leads USAID Oceans’ human welfare and gender initiatives, working across program activities to address issues in gender equality and labor rights. 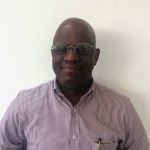 Jigsz has over 30 years’ experience in social and technical aquaculture research, urban environmental management, integrated tropical coastal zone management, and in addressing gender and labor issues in aquaculture and fisheries across the region. Sheena Marie Nolasco assists in coordinating activities at the USAID Oceans program learning site in General Santos City and its surrounding municipal fish landing sites and communities, as well as provides support to the program communications and outreach team. Prior to USAID Oceans, Sheena worked with the Philippine Bureau of Fisheries and Aquatic Resources (BFAR) for more than 6 years. Her career milestone with BFAR was in the position of Fisheries Inspector performing quarantine and regulatory functions, including on-site inspection and verification of fishery commodities for export. Araya Poomsaringkarn supports USAID Oceans’ public-private partnership engagement, working closely with partners, subcontractors, and grantees. Araya manages and monitor ongoing strategic partnerships and identifies, develops, and manages new partnerships with private and public sector actors to achieve USAID Oceans’ objectives. 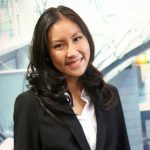 Araya received her Master’s Degree in International and Development Economics from Yale University, and has previously worked in venture capital, sustainability and climate change, and environmental consulting to Thai food and fisheries companies with PricewaterhouseCoopers (PwC) Bangkok. 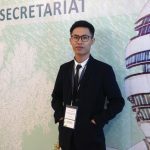 Frengky Sihombing supports the management and implementation of program activities at the learning site in Bitung, Indonesia, as well as provides support to the program communications and outreach team. 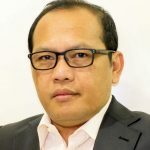 He previously worked with the Coral Triangle Initiative on Coral Reefs, Fisheries, and Food Security (CTI-CFF) as a communications division assistant and as CTI Human Resource Department and office management staff. Frengky also has experience in the field of tourism under the sea in cooperation with the Ministry of Tourism. He has a B.A. in Marine Science from Sam Ratulangi University (UNSRAT) in Manado, Indonesia. 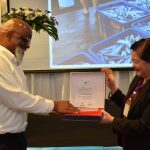 Supol Singhapoom leads USAID Oceans’ M&E initiatives, working closely with the team to manage the program’s M&E plan, monitor program activities, and share findings with program staff and stakeholders to inform implementation strategy. Supol has over 30 years of experience in monitoring and evaluation, and previously provided M&E support to Plan International and Pact Thailand, among other organizations. Sang Udayana supports the Regional CDT Specialist in the implementation and management of the Indonesia learning site’s CDT initiatives. Sang obtained a B.A. degree in Information Management from the Institute of Informatics and Computer Science of Surabaya, Indonesia, which he has put to use in the IT sector the past 15 years, including IT Administrator for several 5 star hotels in Bali and as a Project Manager for Fleet Management for the Express Group, purported to be the second largest transportation company in Indonesia. Michael Kidd manages USAID Oceans’ operations, finances, and leads the project’s Administrative team. Michael holds over 35 years’ experience in international U.S. government administrative and financial management operations. Michael has supported projects in sub-Saharan Africa, Eastern Europe, North, Central and East Asia, South Pacific, and the Caribbean. Ms. Bussaracum Chamchoy has over 18 years of experience in finance and administration. Ms. Chamchoy supports the USAID Oceans team in the management of activity administration and finance, grants, and human resources. Ms. Chamchoy assists in the strategic oversight and implementation of project grants, ensuring their compliance with U.S. government regulations and policies. 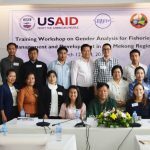 Prior to joining USAID Oceans, she provided finance and operations management support to several international NGOs based in Bangkok, Thailand. Pakkaphong Pakdeepipath provides administrative support to the USAID Oceans team, managing daily office operations, event and meeting coordination, procurement, and finance management. 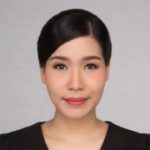 Pakkaphong has over 11 years of experience in office administration, working with organizations such as the Rockefeller Foundation. Rosalind (“Saling”) Sichon works in direct collaboration with Philippines-based staff and USAID Oceans’ Administration and Finance Manager to manage all in-country financial and administrative operations. Saling comes to the USAID Oceans program after serving as Finance Coordinator on USAID ECOFISH, and has over 15 years of experience in finance and administration positions with local and international NGOs in the Philippines. 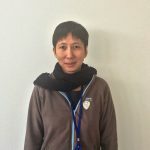 Smita Yamsangsung provides administrative support to USAID Oceans activities and staff, including event and meeting coordination, daily operations management, and administrative support to senior management. Smita has experience in administrative, secretarial, financial and support services for management team members of international institution, petroleum company, and NGO.